Image can be interpreted and associated in many different ways: Personal Image, Professional Image, Online Image, and Corporate Image. Today I want to talk to you about the importance of protecting your Corporate Image. Corporate image is about how a company is perceived in the eyes of the general public and the image that the company portrays. Since the public has no formal contact with the corporation, the company must try to convey a mental image to the public at large. Most large corporations hire a marketing or public relations firm to help create that image. These firms are experts in designing a corporate image that is appealing to the public and marketed in a way that the company will create an interest among consumers and help generate brand equity that will translate into sales and profits. A company’s professional identity is what drives your entire organization to perform, it's what makes hiring highly talented people easier, and what gives you the framework by which to operate your company. Powerful brand identities are very important and they should connect to 3 critical elements: the value proposition (an innovation, service, or feature intended to make a company or product attractive to customers) the capabilities system (the ability to execute a specified course of action) that allows you to create that value, and the set of products and services that leverages those capabilities and delivers against your value proposition. Marketing experts use a wide range of promotional methods and public relations techniques to create a positive image of the corporation. In most cases, the public is aware of a corporation's identity, is familiar with the company's products and already has a positive image of the company. Examples of corporations with powerful public images are the likes of Ikea and Apple. A positive and credible corporate image can greatly increase the speed with which consumers will accept a given company's new products. On the opposite end of the spectrum, corporations can also quickly acquire a negative impression in the public's eyes such as what happened to BP’s public image following the oil spill in the Gulf of Mexico. Another example of how a brand image can be damaged overnight is the incident that happened with United Airlines when they forcibly removed a passenger from one of their oversold flights which created a public outrage. If a corporation does not react immediately and properly to a negative media incident and do the right thing by their customers and the public, their brand image can be tarnished forever. You need to preserve and protect your corporate image. The first step in building an image is to clearly understand and harness the company's competitive advantages in the marketplace. A superior brand image is what distinguishes a corporation from its competitors. Sales increase when the company is portrayed as being principled and productive. If the company does not portray an image of strength and integrity, customers may not understand everything it has to offer and will shop elsewhere. Creating a corporate image is only the first step. The company must work diligently to support and maintain that image through its actions. The image and message portrayed to the customer must be accurate in that it reflects the company's unique strengths and value. The rule is that customer expectation, minus reality, equals customer disappointment. One of the best ways to shape a strong corporate image is to establish and maintain positive relationships with the public. Offering products that meet and exceed consumer expectations can accomplish this goal and create goodwill. Once consumers become familiar with the company's products and form a positive opinion, they begin to share those opinions with others. New customers are introduced to the products and a favorable perception is created in the mind of consumers. Keeping a corporate image positive and fresh means, it must be reflected in all of the brands and products the corporation manufactures and markets. If product quality slides, not only will sales of that product suffer, but sales of other products may also be affected. Your corporate image is an amalgam of the image of each individual product your company makes. 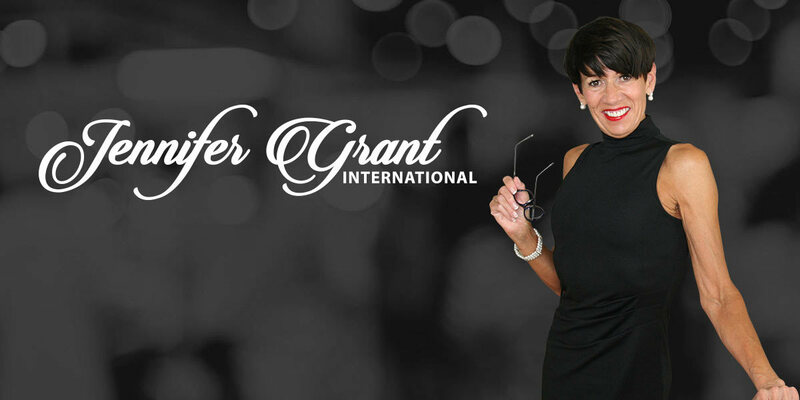 If you want to be sure your company is portraying the best possible corporate image Jennifer Grant International can help. Give us a call, we would love to work with you.